People, have you heard that future is almost here? Science community is about to breakthrough an imperceptible invention. No, not hoover boards you all want so badly, medicine that puts cancer in the same category of illnesses as sneezing and headache, or machines that, according to Oscar Wilde, will do all the dirty work and we will be able to spend eternity while drinking long islands on the beach. Unfortunately no. But the latter drink actually brings me to the greatest invention that about to happen. An alcohol that doesn’t leave a hangover. Just the idea of it melts in your brain and puts you in an indulgence trance as much as thinking about, for example, space tourism. Forget space program, JFK should had made a promise to put a man on its feet after brutal jelly-shots night with a bad finishing of any drink that has flame, not some unimportant and void moon. Imagine, serving primary hedonistic instincts of being wasted and then suddenly, as if some off button was pressed, you’re good to drive a car, go to work, and do whatever thinkable. Going to space included. Too bad, every reasonable person should have a problem with this. This is not a sadistic view that everyone who self-indulges himself is worth the punishment, but there’s a great reason why some things that are unhealthy, yet enjoyable, have side-effects and that this natural order shouldn’t ever change. It’s a matter of self-regulation. It may be comforting to believe that if the side effects there non-existent it wouldn’t be wrong to have a drink on daily basis. Why not drinking it at a workplace? Twitter treats its employees as adults and has fridges full of wine and beer, but would they stay grown-ups if they would know that all their excessive fluids could be washed with just one pill a moment before the boss comes to check whether they actually are working? A small drink before night-out for the sake of gaining social skills and ability to pretend to be charming and outgoing should sound good enough, especially if it’s without any negative effects. After all, what makes alcohol unwelcome in a society are its bad effects and not the usage itself, and together with the scientific superiority, alcohol supposes to be a win-win for a user. Nevertheless, that is far from truth. What message does the development of such substance sends to users of liquor? It implies that abusive use of alcohol is fine as long as it doesn’t disturb you from contributing to the society, therefore, we’re developing a product that will make you almost pass out on a pub’s table while wearing nothing but trousers, yet don’t worry as one pill will make you ready to go to your low-earning, wage-stagnating job in a go. After tiresome 10 hours shift, you can continue living your miserable life by drowning yourself in synthetic booze. Well, this sounds rather impressive, with such development we may completely write off alcoholism as a real illness, it may become just a habitual way of life for millions of people. I’m really sad to break it but, actually, creating a hedonistic paradise of pleasure without responsibility isn’t going to work. Societies and individuals need self-regulator. 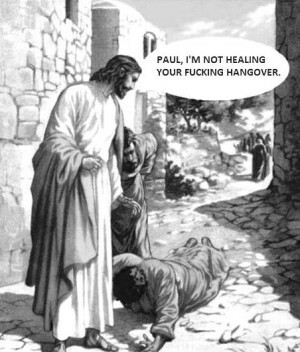 Hangover is a feature of alcohol, not drawback, which signalises that second bottle of vodka you ordered last night, was a brutal mistake and miscalculation. You’ll never do it again. But if you would know that last night was just a miscalculation of time when to consume special pill, which would had made all your woes go away, there’s a high possibility of giving it another go next night. Of course, fixing alcohol addiction problem would seem a relatively proud aim. Still, by giving the benefit of the doubt, there are fundamental contradictions by making booze that doesn’t give you hangovers and isn’t addictive. First, if the synthetic liquor isn’t naturally addictive, wouldn’t the fact itself make it more appeaseable to people as a ‘I can quit this thing anytime, but not today’ thing. Secondly, the absence of hangover would mean a great substitute for real alcohol, which, as I already mentioned, rapidly become a habitual companion for a drink night.